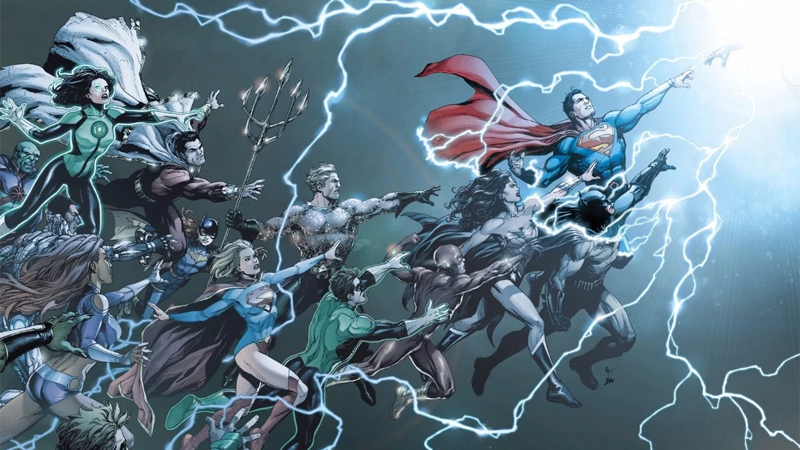 DC Comics us undergoing a slight rebirth of its own. In recent years, DC Comics has branched out into many areas beyond just comics. But now, the company is looking to refocus back on publishing as part of a new restructuring that has lead to seven people—approximately three percent of its 240-staff workforce—departing the company. Confirmed by the Hollywood Reporter last night—after earlier rumors in the day from Bleeding Cool had alleged that company mainstays like Dan Didio and Jim Lee could be leaving the publisher as part of ongoing restructuring at Warner Bros. at large (they’re not)—seven staff members were cut from the publisher following meetings yesterday. They include VP of sales trade marketing John Cunningham, VP of consumer marketing Eddie Scannell, and senior VP art director Mark Chiarello. On top of the cuts, DC’s in-house merchandise and collectibles wing, DC Collectibles, will be moved under the control of Warner Bros. Consumer Products, itself undergoing a restructuring at the moment that could see 10 percent of its workforce let go. The move now means that DC Comics itself will operate under three branches with a focus on the creation and distribution of its stable of comics: Editorial, remaining under current editor-in-chief Bob Harras; Production & Manufacturing; and a new Publishing Support Services branch “which will handle sales, marketing and promotion for DC product.” That product, of course, being comic books. We’ll bring you more on DC’s restructuring as and when we learn it.